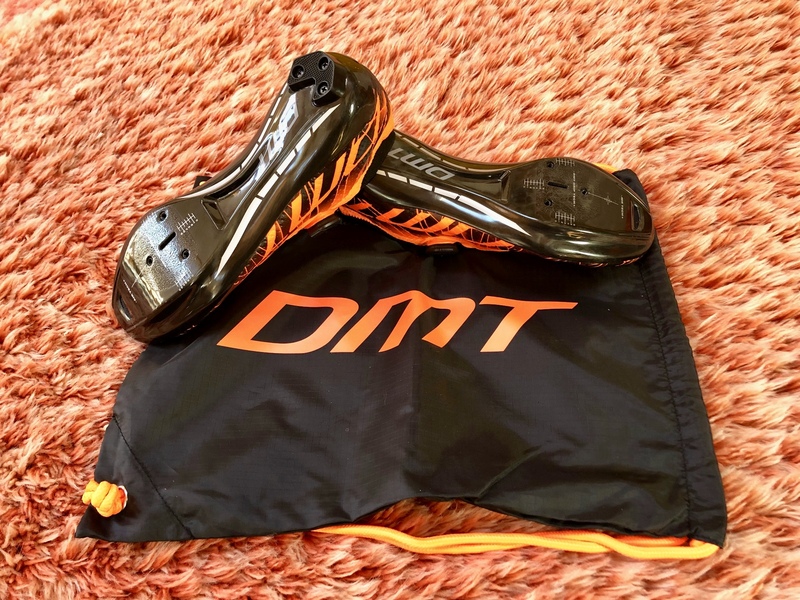 DMT has always been at the forefront of high end cycling shoes, and I’ve personally had the good fortune of riding and reviewing most of the Italian brand’s top-of-the-line models over the last few years, including the far-out RS1 that was designed in partnership with sprinter extraordinaire Elia Viviani. Given the RS1’s bold, innovative skeletal construction, it was hard to imagine that DMT could come up with a new design that could surpass it in terms of technology and design. But, that’s precisely what they did with the new KR1. 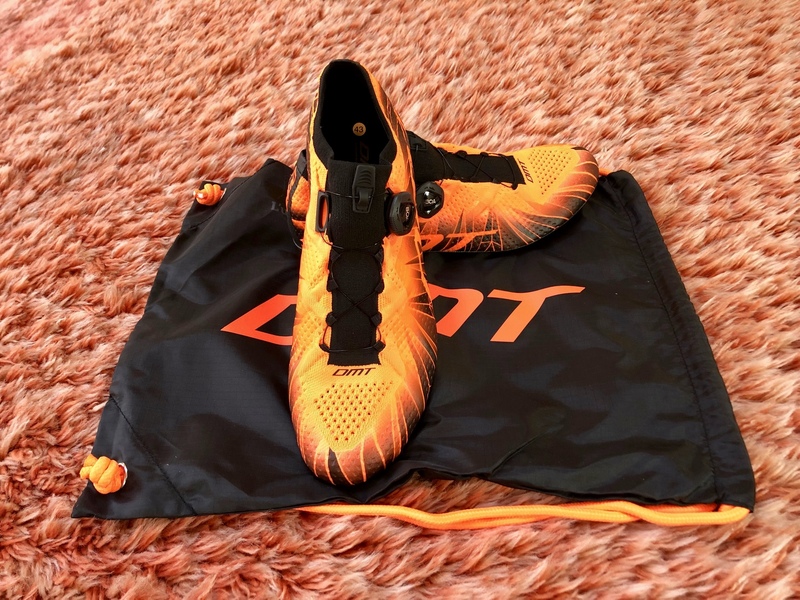 Moreover, as far as aesthetics are concerned, if I thought the RS1 looked futuristic, the design of these new cycling kicks pushes it back into the Dark Ages. 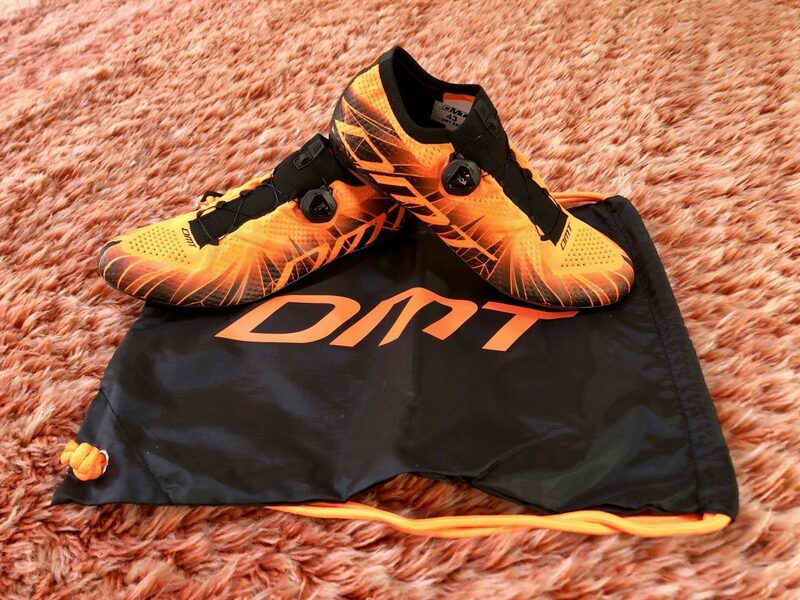 The KR1 uses a new technology that DMT calls 3D Knit, wherein the upper is comprised of a special material that’s made up of thousands of intertwined threads designed to envelop the foot with the goal of achieving optimal fit, comfort, breathability and lightness in a sock-like manner. Furthermore, all of this is accomplished without the use of any type of stitching or gluing. Other features that punctuate the KR1 are an elastic rib along the ankle collar for added comfort, a reinforced toe and heel cup for additional structural support, an anatomical sock liner that’s both light and breathable, one IP1 Boa dial that handles retention and a newly developed ventilated carbon sole with interchangeable anti-skid inserts that DMT refers to as its Quarry technology. Like the RS1, the KR1 was also developed alongside Viviani, who rigorously tested the shoe during last year’s WorldTour calendar prior to its release. 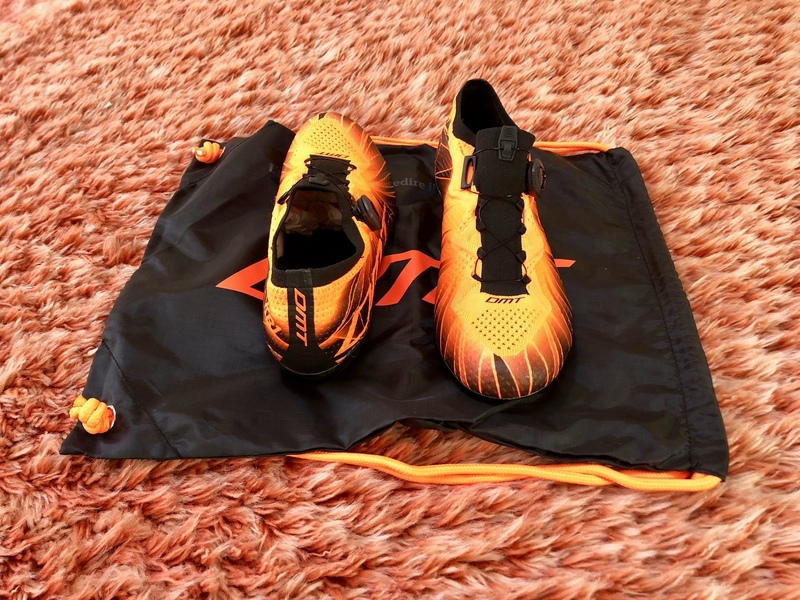 The feathery 240g KR1 is available in orange or black, with sizes ranging from 37 to 47, along with half sizes from 37.5 to 45.5, that sells for $419.90. 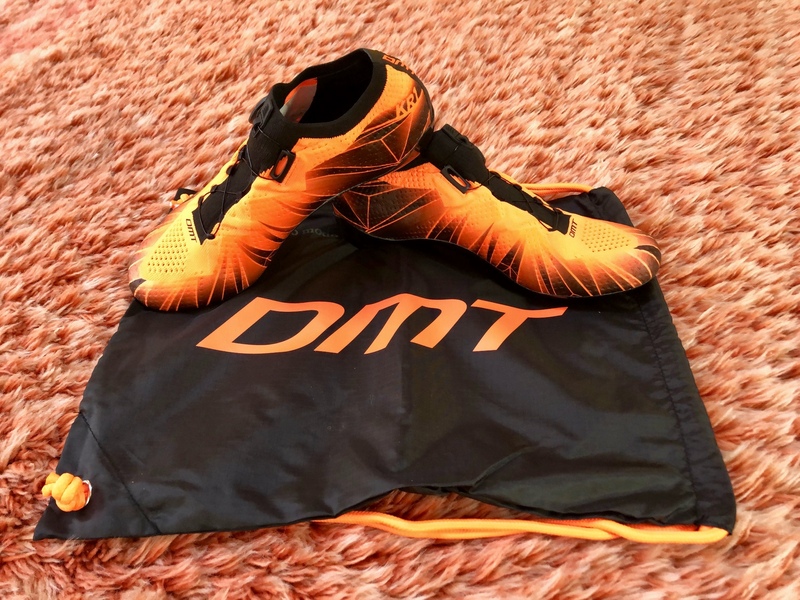 We’ll be posting a thorough review of the DMT KR1 in the coming weeks.